The basic structure of trusts is the same from state to state; two major types of trusts are known as revocable and irrevocable. As the names suggest, a revocable trust is not necessarily permanent and can be revoked or amended. However, a revocable trust does not have all of the same tax or other benefits of an irrevocable trust. An irrevocable trust is more difficult to amend or revoke since irrevocable trusts remove much of your ability to control the property in the trust. It is this restrictive nature that gives an irrevocable trust additional benefits, such as protection from your creditors. As the creator of a Colorado revocable trust, you are called the grantor, and a grantor typically also acts as the trustee and beneficiary of revocable trust. This means you create the trust, manage the trust’s property and benefit from the property’s income. Thus, you maintain full control over the property you place in the trust and can revoke or amend the trust at any time while you are competent to do so. The trust becomes irrevocable when you die or become incapacitated, meaning it cannot easily be changed when these circumstances occur. 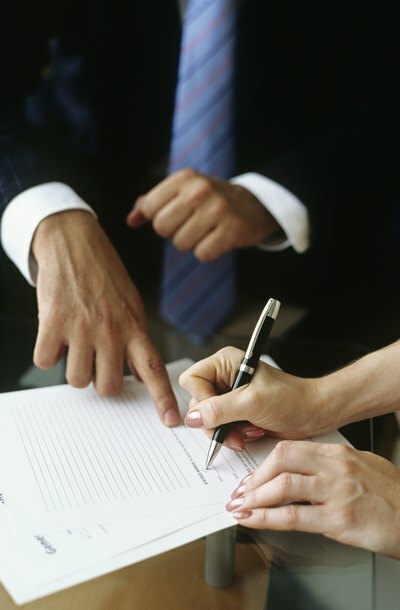 As the grantor, you decide what property goes into the trust. With a revocable trust, you can transfer property in and out of the trust without terminating the trust. When you place property into your trust, title to that property transfers into the trust’s name so your name is no longer on the title. Thus, if you do terminate the trust, its assets must be reassigned. For example, you can put the trust’s assets back into your name or place them into another trust. In your trust documents, you can name a successor trustee to take over the management of your trust when you become incapacitated or die. Your trust documents can also provide instructions to your successor trustee on how he should manage the trust’s property to meet your support and maintenance needs while you are alive. Your successor trustee must comply with your trust’s terms and purposes, including terms about how the trust should be terminated. For example, many living trusts direct the successor trustee to distribute the trust’s assets to named beneficiaries upon your death, thereby terminating the trust.